Paint in some form or another has been around for 2,000 years. During the last one hundred years it became a more sophisticated product. In general paint consists of a binder, (resin that holds it together) pigments, (for colour) additives (to aid drying, application etc) and solvents, (to give it the right consistency for brushing, rolling or spraying). These come in a myriad range of variations and combinations to achieve the desired result. During the last 30 – 40 years general paints moved from oil based and lacquers which are solvent based to mainly acrylics which are water based. All these are single pack and most dry through evaporation of a solvent, so a cross linked, solid layer is formed. Some paints can be re-dissolved in solvents, others not. Also many of the formulations up to the mid 1970’s included a range of chemicals which are quite toxic, such as lead in several forms, which was a great long lasting white pigment. Some people have said “paint does not last since they took the lead out of it”. Well lead went long ago and now it’s replaced largely by titanium dioxide. Most acrylic paints will last much longer than the best oil based paint they replaced, witness the 10 year warranty on many acrylics today. In addition we have more specialist paints and coatings, such as epoxies, and polyurethanes which are two component mostly. These use a Resin + Hardener (Catalyst/ Activator) to cure. The resin part has the same idea as for paints, namely binder, pigments, additives and solvent. The Hardener when mixed with resin in a specific amount will cause it to cure, into a solid mass, rather than dry. They are not re-dissolvable in solvent. With the very extensive technical and knowledge base available to paint chemists they can design modern day coatings for all sorts of needs. From aircraft and space craft to aggressive chemical environments, coatings are designed to provide long lasting protection from attack of all sorts of things. Even UV attack on Aussie houses is managed better than ever with high performance coatings. Just as a pool is an aggressive environment with chemicals, water, sun, UV attack, body oils, suntan oils, feet, wear and tear even the odd bicycle or worst, attacking the surface, a high performance finish is needed. So it is with Pool Coatings, they can be designed to offer a range of outcomes, depending on the chemist’s ability and the market needs. 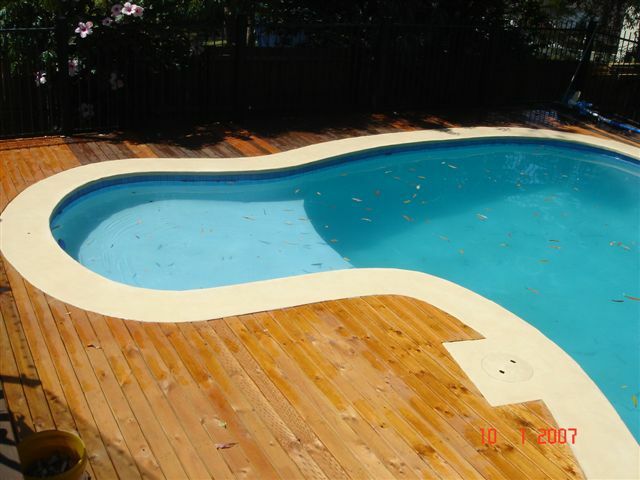 Yes there are low cost, maintenance pool paints like Chlorinated Rubber with a 1 – 2 year life. There are general grade epoxies which last 3 – 5 years. And there are hi build epoxy coatings such as EPOTEC which lasts 10 plus years. It all comes down to designing what’s needed for particular situation. With Epotec there is over 20 years of usage, so its performance in a whole range of environments is well known. There are pools with the original EPOTEC lasting well past 10 years, even to 13 years before it was deemed in need of recoating, simply due to some wear on the steps. So the idea of “paint does not last since they took the lead out it” does not apply to hi build coatings like EPOTEC. Indeed EPOTEC lasts much longer than the pool paints on the market when lead was removed.